Whenever you shop, watch videos or search the web, Swagbucks gives you points called SB. You can use your SB to redeem gift cards to hundreds of your favorite stores. I’m always looking for fast and easy ways to rack up more SB. With Swagbucks’ sister site, MyGiftCardsPlus, I can buy electronic gift cards to use online, in store or when I go out to dinner - and earn SB doing it! 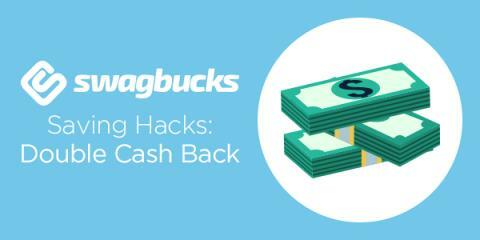 Recently, I’ve found a hack that gets me double the cash back when shopping online. MyGiftCardsPlus has hundreds of gift cards to your favorite stores like Sephora, Lowes and Kmart. Buying any of these gift cards will earn you cash back in the form of SB. By using your gift card to shop through the Swagbucks website, you can earn DOUBLE the SB back on your purchase. Sign up for a free Swagbucks account and make it rain rewards!